Timber, metal, fabric, carabinas, chain. 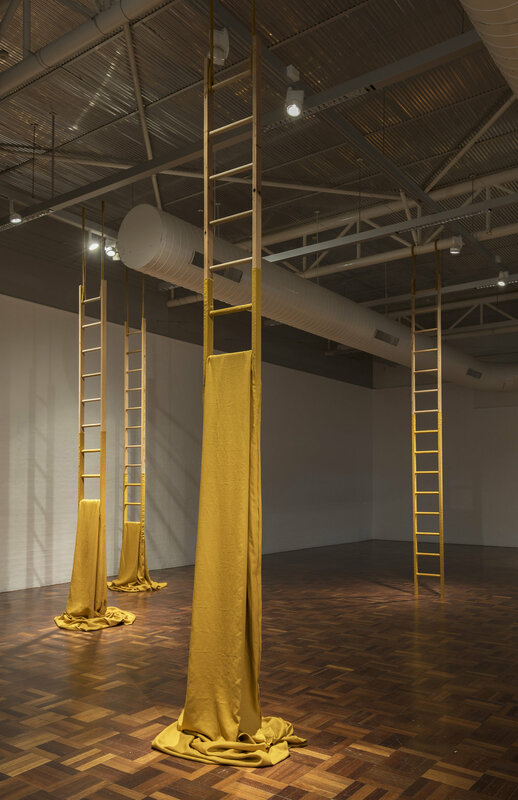 Stand is a series of five hanging ladder and fabric sculptures. These tall, narrow, golden columns group together like the clusters of poplars lining the roads in and out of Canberra. In this work Bradley considers the outdoors as a temporal site, growing and collapsing over days, seasons, years and rebuilding anew.